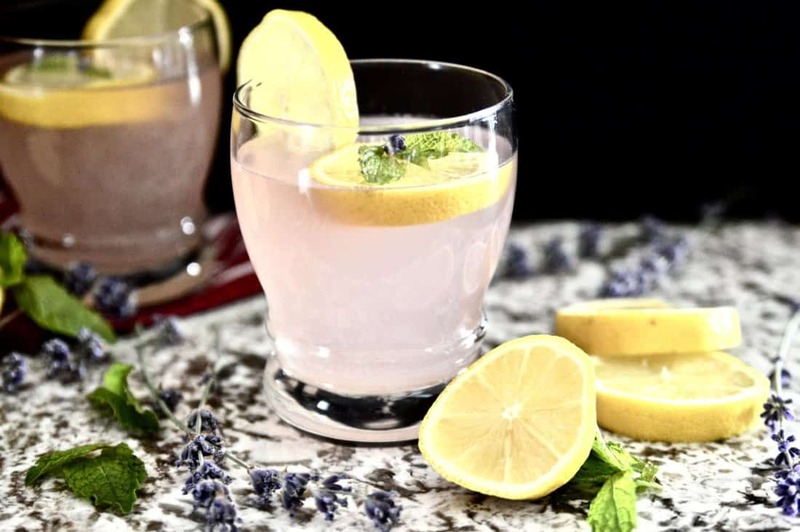 Lavender Mint Lemonade. That is what we are sipping on this week friends. If you ask me this is the perfect summer drink. I cannot get enough of this one! 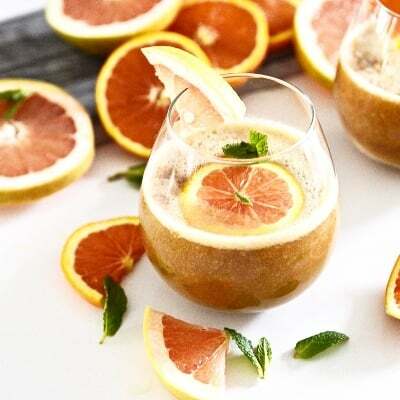 It is just so darn refreshing and perfect for those hot summer days. And it is so easy to make! No fancy equipment or ingredients needed for this recipe. I really should start making double batches of this stuff because I go through it so quickly! So, lucky me, I am back on vacation again this week. Yep I am back in BC for even more sunshine, relaxation and fun. But this time is going to be even more fun than last time because I got to bring Erik and the puppies with me. The pups have never been to a lake before so I am curious to see how they like it! My prediction is that Luna will like it and Finnegan will be too chicken to go in. He doesn’t even like playing with the hose, that’s how much that dog doesn’t like water. Luna on the other hand is definitely more adventurous than her brother. 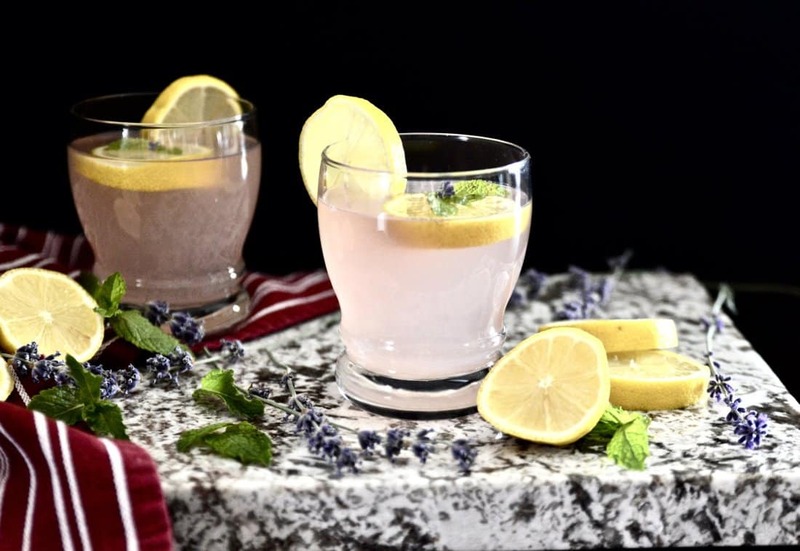 I actually created this recipe for Lavender Mint Lemonade the last time I was in BC. You see my parents have 4 giant lavender bushes in their yard (is it called a lavender bush? I don’t even know) and I wanted to make some recipes with them. And this is just one of the ones I came up with. Now on a more serious note I cannot just ignore what is going on in the US right now. How, in 2017, a white supremacy movement still exists completely baffles me. It breaks my heart that people are still being judged for the colour of their skin, their religion, race/ ethnicity, gender, or sexual orientation. Breaks. My. Heart. I am having such a hard time these days just trudging forward with life like nothing is happening. I had to at least acknowledge it in todays post. Even though I am in Canada what is happening in the US resonates so deeply with me. Sadly there are Canadians who have joined this movement as well. This is such a sad time for humanity. Now more than ever it is so important that we band together and work on spreading love, peace and joy. For anyone who has been a victim of any kind of hate speech, act or discrimination I am sorry. So, so sorry. You deserve better than that. We all deserve better than that. We have to be better than that. Okay but let’s finally get to this week’s recipe. 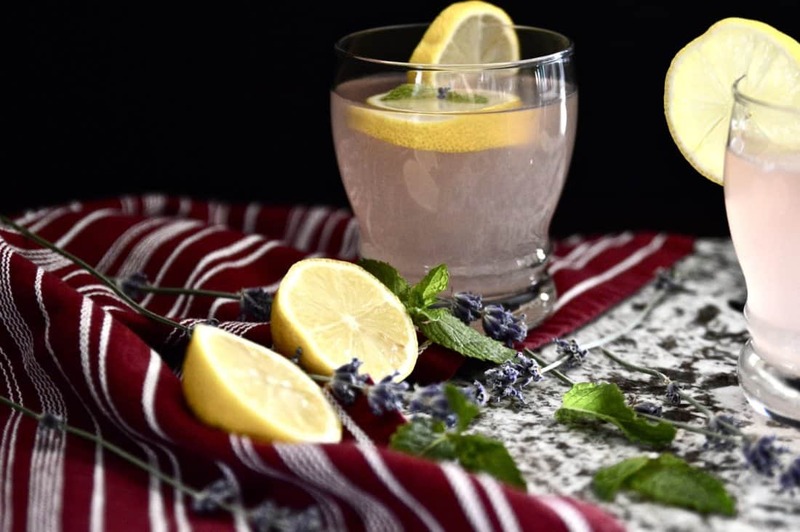 Lavender Mint Lemonade. Otherwise known as my new obsession. When it’s super hot outside and all you want is something refreshing to quench your thirst this drink totally hits the spot. 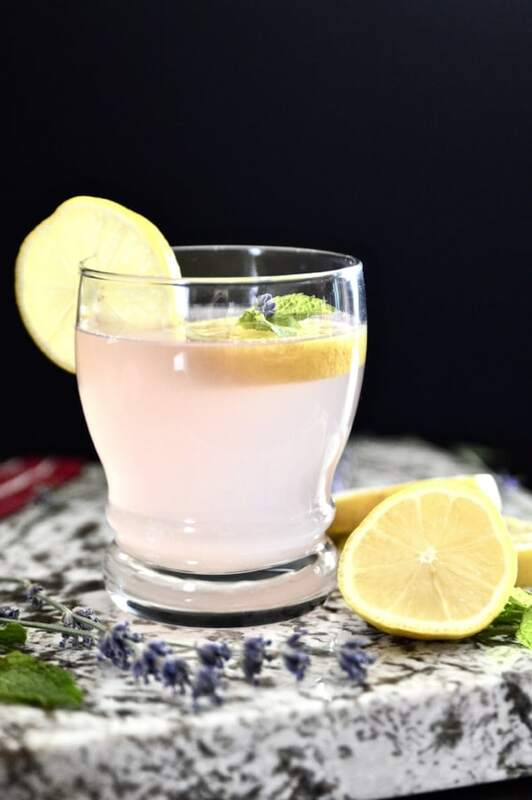 I personally love the subtle flavour the lavender adds to this drink. And just look at the pretty pink colour it turns the lemonade? You are basically just drinking pretty pink lemonade. And who doesn’t love that? I teased people with a photo of this drink a couple weeks ago on my Instagram page and it is one of the most popular photos I ever posted. 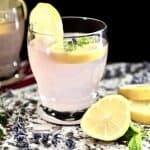 Plus this Lavender Mint Lemonade is paleo, vegan, SCD, GAPS and AIP friendly. It’s safe for almost anyone to have. 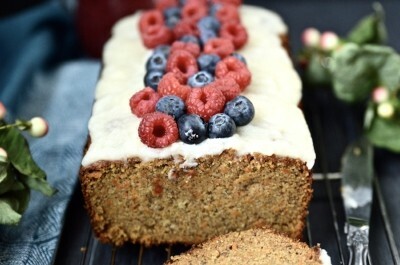 Besides tasting amazing it is also really, really easy to make. Honestly I don’t think there is any way you can mess this one up friends. I dare you to try. I hope you like it as much as I do! Oh and don’t forget about my free Beautycounter mascara deal that I am offering until the end of August. If you missed it you can read all about it in last week’s post, Is There Mercury In Your Mascara? « Is There Mercury In Your Mascara?